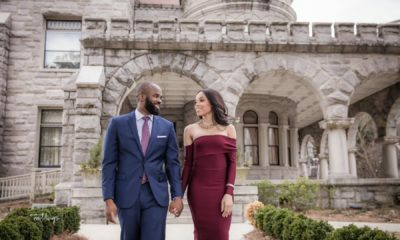 We are so excited about Tolu and Ben‘s wedding coming soon to BellaNaija Weddings! We thought we should share their lovely wedding video first. 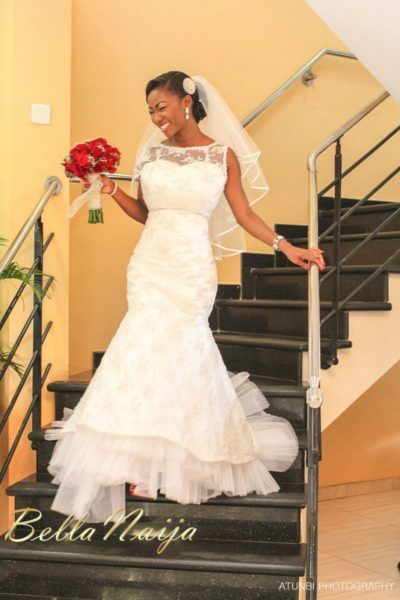 Tolu and Ben’s traditional engagement and wedding took place in November 2012 in Lagos. Their wedding which was coordinated by Zapphaire Events was a red hot affair! With the bridesmaids in red dresses and the bride in two dresses by MAI Atafo Inspired. 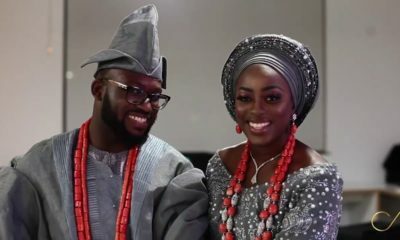 Check out the wedding video by WHPH Media and look out for Tolu and Ben’s BN Wedding feature. I prefer BN Weddings with pics…But why not upload both (pics and video)?? Awwwwww! Absolutely lovely! 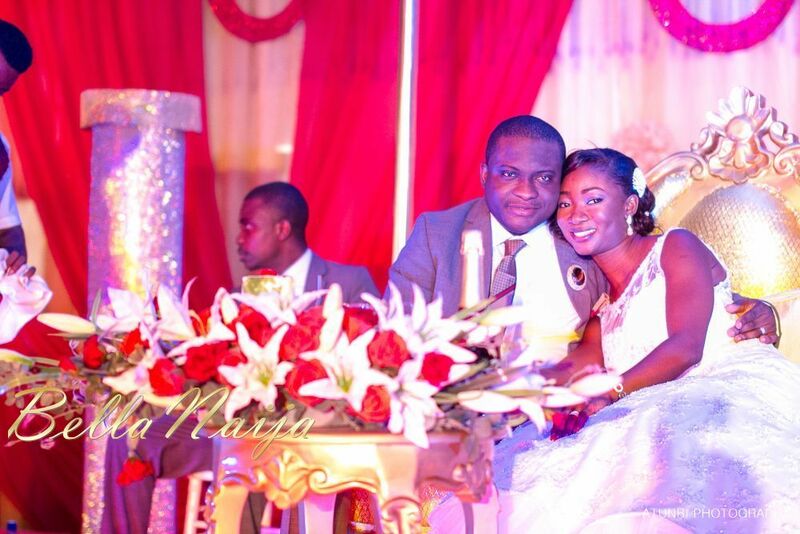 Adorable couple, God’s grace and favour in your union! Beautiful! I was moved to tears at the end cuz u can just feel the lrealness and love between the couple! God bless your marriage! her figure is de bizness!!! azzzziiinnnn!! Jessica Rabbit has nothing on her. lovely. did anyone see the two lil cuties digging it on the dance floor? that was cute. [email protected] dat song n mc urging- ‘follow d waist’…nice! prefer pics Bella. Nice gown on a pweety figure. Is this toyin O’s sister?They look so much alike. Yea she is Thats Tolu O and Ben E…Wudda being stunned if their wedding ddnt feature here tho. Yeaa she’s toyin’s younger sis.. It was a really beautiful wedding.. The dj was really good! So beautiful…. Can’t wait for the pictures :)!!!! Lovely couple,wishing them a blissful union. Me tooo!!! sob! I want pictures biko. Videos don’t work for everyone (I can view pictures at work but not videos lol). Awwwwwwwwwwww! This love is so real. God bless them. Lovely wedding, fabulous outfits for the bride (both for the trad and church solemnisation), and the choice of music for this video was just beautiful!! Loved the end bit too, where the emcee kept on shouting, ‘follow the waist’. Lmao!! Hilarity for days! Wish them all the love, laughter, and happiness ever…. ROTLMAOOOoooo @ MC screaming “Follow the waist”. Laugh don disorient my swag oooo. 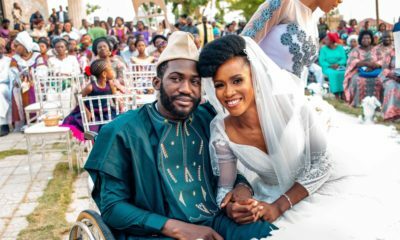 i love dia wedding video, everytin was lovely d couples were beautiful, i saw d lovely kids dancing on floor, and dis is my 1st time of commenting on bellanaija. whao! so cute. The bride is a long lost friend of mine. was really surprised when i saw the video. i really wish to get her contact.